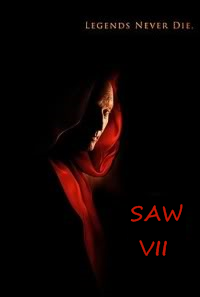 The seventh opus of the Saw movie series will go 3D! Some may call 3D a gimmick, but I think Lionsgate does the right thing: it would be shameful not to use 3D by now! 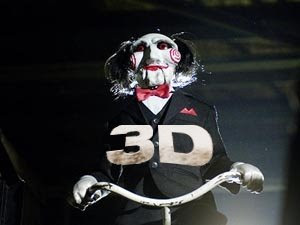 Just imagine how Jigsaw & co.'s traps are going to be marvelously rendered in 3D! The Saw 7 being in 3D may also explain why Kevin Greutert isn't helming the new film: 3D requires longer time to prepare, and he's still busy working on Saw 6. So Lionsgate called back David Hackl to direct Saw 7. I'm confident that Scriptwriters Marcus Dunstan and Patrick Melton will integrate 3D in the movie Saw VII with their usual genius spirit. The traps in the movie Saw 7 are gonna reach a whole new twisted bloody level!